We often struggle to let some people go especially when they made that decision. We question the universe, we question ourselves and we question everyone around us but we never truly get our answers. Letting someone go takes time, patience and commitment to actively stop ourselves from relapsing and thinking about that person again. The Art Of Letting Go helps you understand why, how and when you should let someone go so you can move on and never look back. 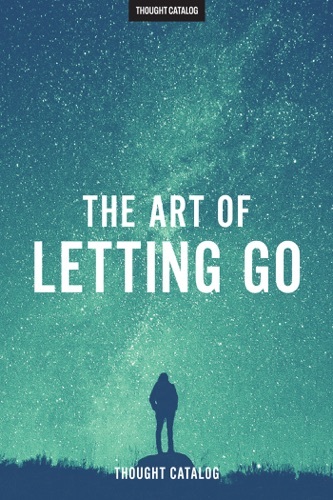 Do you love The Art Of Letting Go book? Please share! Highly recommended for everyone who lost someone especially relationship. I read this book. I've never read a thought catalog before. I think it was somehow cliché but it reminded me of some good points; I enjoyed it! This was an amazing book that covers feelings and emotions we all suppress in the before, during, and after stages of a relationship. It brings your own self-awareness to the table and helps you remember you don’t need validation from a person to be who you are. Honestly one of my favorite reads in life. Will be reading it multiple times. I just got out of a five year relationship. I am a male so some parts don’t particularly point out to me but still a great read and I would recommend to anyone having troubles letting someone or something go. Read this in a few hours and I already feel lighter. Thank you for writing this book!! It truly has opened my eyes to many things I did not notice before. This book unlocked doors in my heart. Gave me some insight on understanding sometimes you just DONT KNOW WHY! I loved everything about it. Took me one day to read. The Art Of Letting Go - Thought Catalog E-Book coming soon..